Although local cooperators shared Robert Owen’s economic ideas and desire to transform society, not all shared his wider philosophical views and particularly his agnosticism. A leading local exponent of cooperation was the Reverend C.B.Dunn, whose vision of socialism equated with the achievement of the Christian millenium. Only recently settled in his living as the curate of Cumberworth chapel, Dunn’s devotion to cooperation was fired by his moving experiences as secretary of Denby Dale relief committee which acquainted him directly with the terrible distress of the fancy weavers. He had no illusions in ‘this pernicious system of charity’ which forced weavers to undertake roadwork for a pittance. In January 1830 he wrote to his patrons, the Beaumonts of Bretton Hall, reflecting ‘It has pleased providence to place me here no doubt for the wisest of purposes, but I had rather it had pleased Him to have made me an overlooker of the well fed slaves of the West Indies.’ A firm believer in workers’ education he also ran classes in the National School on Sunday evenings. ‘Tour First – Manchester, Worsley, Warrington, Lamberheadgreen, Liverpool, Runcorn, Chester, Flintshire and Holywell in Wales, and back home again. Second Tour. Manchester, Worsley, Radcliffe, Newchurch and to the Grand Social festival at Manchester , from thence home. Third Tour. Through Manchester, to Stockport, then to Manchester (and lectured) Warrington, Lamberheadgreen, Birkacre, Eccles, Bolton and again to Stockport; then home’. There is probably much truth in the claim that it was such exertions to promote the cause of co-operation which contributed to his early death. A report of his reception at Bolton recorded ‘the sensation created was beyond all description. The lecture was delivered in the Sessions Room, in which there is standing places for about 1000 persons; but the stairs leading to the room, and the anti-rooms [sic], were all crowded and number went away not being able to obtain a place within hearing of the lecturer. Many influential persons were present…’. There was a similar scene at Stockport. Although local cooperators supported parliamentary reform they were sceptical of its benefits. A report from Huddersfield cooperators to the Poor Man’s Guardian in March 1833 stated that ‘they feel confident that no plan of reform can permanently benefit them, unless such as shall place them beyond the grinding influence of commercial competition, surplus capital and increasing productive powers… They, therefore aim at being their own masters and uniting capital and machinery in their favour.’ Hirst participated in meetings of the Political Union and was on the committee of the radical candidate, Captain Wood, in the first Huddersfield election following the Reform Act. Wood referred to him as ‘my intelligent friend’. The Cooperative Society also made a donation to Wood’s fund and in the 1833 election three cooperative store keepers cast their vote for him – prompting a correspondent to the Voice of the West Riding to point out that cooperation gave ‘labouring men’ the capital to qualify for the franchise. His heart was fill’d with joys of heavenly Love. This is adapted from ‘The Hall of Science – Cooperation and Socialism in Huddersfield c.1830-1848’. 1 Lancashire & Yorkshire Cooperator 1 Oct 1831. 2.Report of 1832 Third Cooperative Congress, London. 4 8.Bretton Hall Archives BEA/C2/B3/51a and 51b. Dunn to Mrs Beaumont 14 Jan 1830 and to Mr Brakenridge 21 Jan 1830 (Thanks to Cyril Pearce for drawing my attention to these references); CrisisApril, 2 Jun 1832. 5Lancashire & Yorkshire Cooperator 1831, Jun 1832. 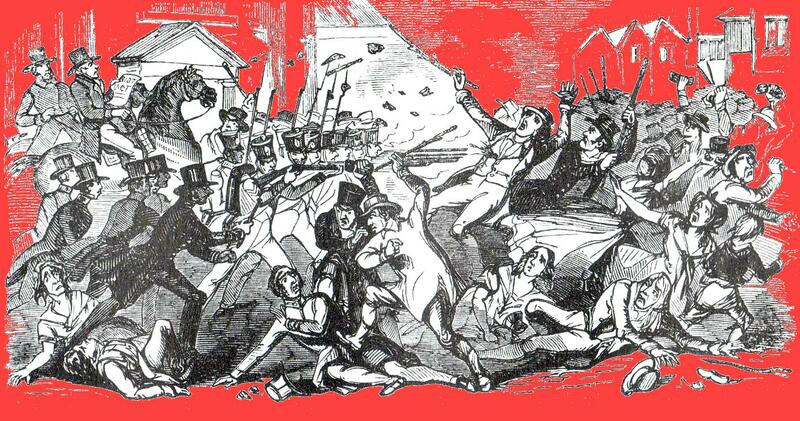 9.Crisis14 Apr; 27 Oct 1832. Poor Man’s Guardian 5 May 1832. 6 10.LM 1 Oct 1831; HHE 14 Apr 1832;LM 30 Jun 1832;Crisis 27 Oct 1832; Balmforth op.cit.p.25. 7 11. LM 4 Aug,25 Aug,1 Sep,27 Sep,13 Oct, 27 Oct 1832:Crisis 4 May,12 Oct 1833..
was dedicated in a ceremony on 26 September 2018, which brought together surviving descendants, the Cooperative Party and Huddersfield Local History Society. 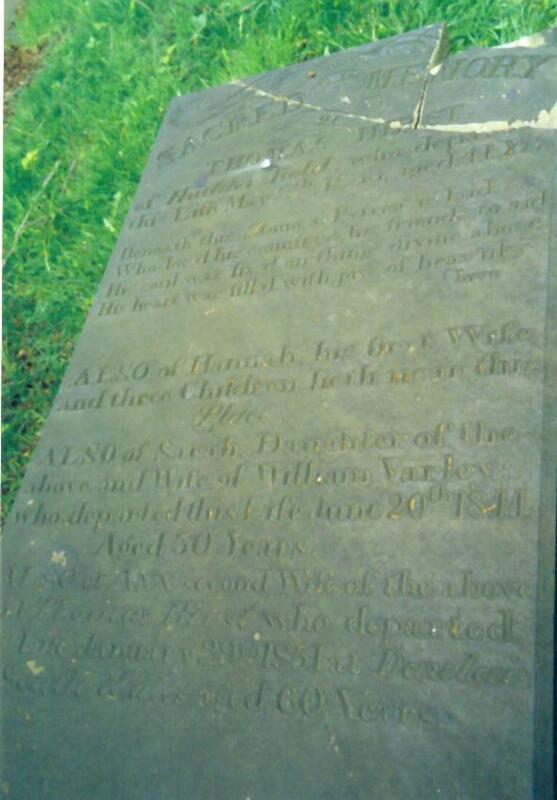 This was made possible by a long campaign by society member and long time Coop activist, John Halstead, who traced relatives, lobbied the Church authorities and coordinated other interested parties. Here is the text of the speech delivered by Chair of HLHS, Cyril Pearce, at the event. We talk, sometimes quite glibly, about Huddersfield’s ‘radical past’ without really saying what we mean by it – and I am as guilty as anyone of that particular fault. Just to be clear, and perhaps for the first time, what I mean by a ‘radical’ is someone who asks critical questions about how things are – in politics, society, religion and economic beliefs and systems – and proposes alternatives. When that ‘radical’ idea attracts followers it tends to become an ‘ism’ or a movement of some kind. Nineteenth century Huddersfield, it appears, was home to a great many of these critical thinking radicals and its social and political history has seen the appearance and working out of a number of the century’s more important radical ‘isms’ – Luddism, Republicanism, Chartism, Liberalism, Socialism, Methodism, the Women’s Movement and the Co-operative movement. The Co-operative movement does not automatically appear on such a list and yet, along with Friendly Societies and trade unions, throughout the 19th Century and well into the 20th, it was a dominant presence in working class and lower middle class communities. While we tend to think about it in terms of shopping and its members’ ‘divi’, we should not forgive that at its beginning it was much more ambitious. The celebration at Holy Trinity Church on the 26th September is a potent reminder of that. Photo – Thanks to John Rumsby. Thomas Hirst, the restoration of whose sarcophagus, is the reason for this occasion, was born in Huddersfield in 1792. As a young man he was cloth dresser and a shopkeeper in the turbulent times after the failure of Luddism. In the years after the revolutionary stirrings at Folly Hall and Grange Moor, he was drawn into the co-operative movement. At that time, more than twenty years before the appearance of the Rochdale Pioneers’ version of Co-operation, the movement was heavily influenced by the ideas of Robert Owen. Consequently it had ambitions and practices which went far beyond groceries and the ‘divi’. Surpluses from trading in the necessities of life were to be used to set up co-operative manufacturing and, in the fullness of time, to buy land and establish co-operative and egalitarian communities. In other words, the co-operative movement Thomas Hirst joined and helped shape was built around a radically different notion of how society might be organised. Thomas came to the movement from a background in Methodism and, unlike Robert Owen, held fast to his religious beliefs. Indeed, he brought a religious zeal to his work for Huddersfield Co-operative Society and to the co-operative movement as a whole. He attended and spoke at Co-operative congresses and tramped across much of Northern England preaching the gospel of co-operation. It was probably his energetic tramping and preaching which led to his early death at the age of forty-one. Some years ago HLHS members Alan Brooke and John Halstead re-discovered Thomas Hirst’s sarcophagus in Holy Trinity churchyard, broken and neglected. They then set about the lengthy process which has led to this point. Thomas’ contribution to the history of Huddersfield radicalism and the beginnings of the Co-operative movement are well known and the modern Co-operative Party, the Co-operative Funeral Service and Huddersfield Local History Society have now been able to come together to celebrate his life, work and influence by have his sarcophagus restored. The stone restored by Coop funerary services. (Thanks to John Rumsby for photo).